Mr. Walker is a licensed psychotherapist and Buddhist teacher (Lama Yeshe Jinpa) who provides his clients with compassionate support and encourages them to bring mindfulness and kindness to their problems, issues and life goals. He blends traditional psychotherapy with alternative meditative traditions to emphasize non-judgmental awareness, energy and the cultivation of loving kindness. Mr. Walker graduated from the Professional School of Psychology in 1989. He has had specialized training in Buddhist Psychology, Gestalt, EMDR, Hypnotherapy, Dialectical Behavior Therapy and Narrative Therapy. 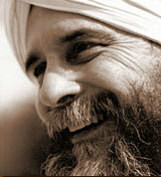 He teaches core mindfulness skills and meditation in daily life. Colleen Tweed Wong specializes in maternal wellness and holds a certificate in maternal mood and anxiety disorders from Postpartum Support International. She also works in maternal depression research at the University of California, Davis, School of Medicine, in General Pediatrics. Colleen completed her internship at Middle Way Health under the supervision, and continued mentorship, of Stephen Walker. 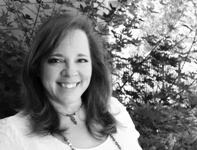 She is available for individual, couples, and family therapy, as well as mindfulness coaching. She has additional training in Mindful Motherhood, co-parenting counseling, attachment, and conflict resolution. She volunteers as a facilitator at the weekly Mindfulness Meditation Support Group at Lion’s Roar Dharma Center. While postpartum depression has gained familiarity, there are actually several forms of mood, anxiety, adjustment, and identity problems that mothers may experience throughout the course of motherhood. As mothers, we are more likely than our childless counterparts to develop mental disorders over the course of our lives. We are the emotional backbone of the family and when we struggle our whole family is affected. Despite our best efforts to protect them, the children of affected mothers are prone to develop behavioral, social, emotional, and cognitive problems, and are more likely to develop mood disorders as children and adults. The purpose of mindful motherhood is not to add another guilt laden task to being a good mother. Mindful motherhood is a method of renewing the well-spring of yourself that your children draw from. It isn’t our strife that’s harmful; trials are a normal part of life. To put it simply, motherhood is hard! We make so many sacrifices for the sake of our children, but by asking for help, we are not only modeling a healthy habit for our children, we are acknowledging that we want to give our best. 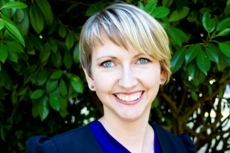 Lindsay Parkinson is a Licensed Marriage Family Therapist, Board-Certified Art Therapist, and Artist. Her work is dedicated to creating trusted relationships and space for the process of narrating one’s story. Lindsay graduated with her MA from Notre Dame de Namur University for both Marriage Family Therapy and Art Therapy, after having received her BA from San Francisco State University in Child & Adolescent Development, Youth & Family Services. 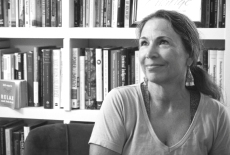 Traditional talk therapy is the primary focus of her work, utilizing Narrative, Cognitive Behavioral (CBT), Problem-Solution Focused, and Family Systems theories. Lindsay is a Bay Area Native, and before coming to Middle Way Health worked in community-based programs such as psycho-social rehabilitative day treatment, residential, as well as Partial Hospitalization (PHP) and Intensive Outpatient (IOP) with both teens and adults. Having personally struggled between the ages of 16 and 25, Lindsay knows how to identify with those seemingly small daily trials to the larger issues of tragedy and loss. This period of young adulthood (which is now referred to as Transitional Aged Youth, or TAY) is often overlooked and underserved. Art Therapy is specialty offered to those who have an interest combining art and creativity together with the traditional therapeutic process. Artistic mediums are used to promote self-expression, self-esteem, skill-building and play, in order to facilitate further growth and communication during treatment. As a young artist, Lindsay used to focus on perfecting the outcome of her product – relentlessly and endlessly – until it became unbearable and she could no longer complete projects. She had lost all confidence in herself due to that harsh inner critic. This happened in many areas of her life. It became a cycle. The only way out was to ask for help, and that was the hardest part. Over time and through the safety of a therapeutic relationship, she was able to find new perspectives on past challenges and develop a stronger voice for who she was and where she was going. Lindsay is a suicide survivor and family member of an Afghanistan War Veteran. She chooses to continue working in settings that promote empowerment and healing using strength-based, humanistic approaches. Her early life experiences laid the groundwork for her interest in service to others, it gives her a unique lens in which to provide support and non-judgment for whatever it is you may be facing. 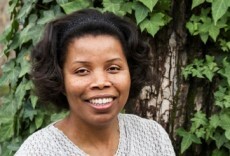 Dr. Smith has been a licensed clinical psychologist since 1997. 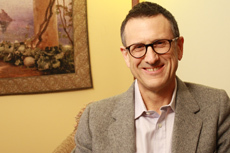 He brings a solid grounding of traditional psychotherapeutic practices, including cognitive-behavioral, psychodynamic, and family systems therapies. He combines these with an exploration of Buddhist philosophy and meditative practices to assist people in achieving a stronger sense of peace and well-being along their life path. Dr. Smith has particular focus helping people with anxiety and depression, work stress, family/marital conflict, chronic pain and other mind/body conditions. He also does testing for and treatment of Attention-Deficit Hyperactivity Disorder. In addition, he has a solid understanding of psychiatric medications and can help you to work with your prescribing doctor to maximize the benefit of these medications. Dr. Smith graduated from the California School of Professional Psychology in 1995. He brings specialized training and extensive experience in substance use disorders, health psychology, and psychopharmacology. Dr. Nicola is a Licensed Marriage and Family Therapist with over 25 years of professional experience helping people heal, grow and change. With a Master of Science in Counseling and a Doctoral Degree in Clinical Psychology, she is also a level II EMDR practitioner and a CAMFT Certified Clinical Supervisor. She is a Mental Health First Aid Trainer and has been trained in Critical Incident Stress Management Debriefing. Dr. Nicola offers individual short and long term therapy, couple’s therapy for all types of couples, group counseling, clinical consultation and supervision. She specializes in pre-marital counseling, self-acceptance, mixed orientation marriages, family relationships, change and loss, acceptance and commitment and parenting issues. 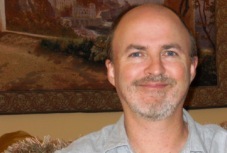 My name is Jeff Wilfong and have been a psychotherapist since 2006. I am licensed in California as both a Licensed Marriage and Family Therapist (46654) and a Licensed Professional Clinical Counselor (159), in Oregon as a Licensed Professional Counselor (C3836), and in Washington as a Licensed Mental Health Counselor (LH60496399). I provide counseling and coaching services to Adults, Couples and Teens via in-office sessions, Skype or Facetime (video therapy), phone and email treatment options. ​I provide therapy because I know it works in creating positive changes. For over a decade, I have had the privilege to counsel individuals and couples, with many different presenting issues, to attain peace of mind and create their dream life and relationships. Whether you need help to resolve a problem, plan for a change, or lessen barriers to growth, I can support you. I strive to make therapy effective and valuable for all my clients. Clients describe me as challenging, direct, and perceptive, and that I make counseling approachable. I enjoy teaching clients new skills, empowering them to move forward. ​Since 2000, I have developed expertise in Buddhism, Zen and Nondual spiritual systems. Through extensive meditation practice and inquiry, along with completing my own psychotherapy, I combine “Eastern wisdom” along with Western therapeutic strategies. If you want to experience inner peace, improve your ability to rest with “what is” or to question your worldview to see what lies beyond, try my East-West approach. For couples, I have been trained through Level 3 with Gottman Method Couples Therapy (GMCT) which provides a wonderful assessment of what is working in your relationship and what can be improved. The Gottman approach is well-researched and provides many helpful interventions to get the changes you are seeking, including better communication, intimacy, friendship and more. 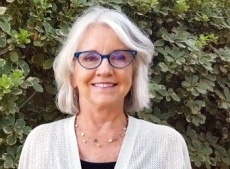 Sandra Warne has been practicing Psychotherapy in Sacramento for twenty-five years, successfully using integrative approaches designed to meet the needs of individuals, couples, and families exactly where they are, and moving them forward to realize their full potential for happiness. As an EMDR therapist Sandra is experienced in transforming painful experiences from the past – either conscious or unconscious – alleviating pain, troublesome feelings and reactions, thus allowing them to live life to the fullest in the present. Sandra has worked successfully with Vietnam, Iraq, and Afghanistan Veterans from ages 20 to 70 years old. She has also used this trauma resolution protocol with children as young as four. Couples are another special interest of Sandra’s because often couples have no positive models to prepare them to successfully traverse the many developmental stages they face in their futures. She works with couples to design their relationships to meet the needs and desires of each life stage as a couple, and provides vehicles to enhance communication. Sandra also enjoys working with both traditional and non-traditional families, including blended and alternative families. Sandra’s experience with Buddhist Psychology as a treatment modality brings relief to individuals who suffer from maladaptive attachment and highly conditioned and automatic emotional responses. Blown by the winds of emotions, individuals often experience confusion, disharmony, and at times physical disease or addictions. Living mindfully in the moment without judgment of self or others can lead to replacing of unhealthy attachment, leading the way for love, equanimity, joyfulness, and compassion. This therapeutic path is one with an emphasis on enhanced creativity, humor, and happiness in the present moment. With clarity and sensitivity Sandra serves culturally diverse and LBGTQ individuals, couples and families, experienced and comfortable with the unique challenges that many face in our still evolving society. Sandra is currently laying the groundwork for a women’s healing group, emphasizing healthy integration of body, mind, and emotions, while defining one’s spiritual path as needed in the present moment. Women who are experiencing or have experienced life-altering medical conditions are encouraged to inquire about this group. As a therapist, Trish works with individuals to live life as their most authentic self through awakening the personal energy and wisdom that they already possess. This can include facilitating present moment awareness and joy, navigating significant life transitions while maintaining a sense of self, or finding growth and meaning in dark times. Trish is foundationally a Narrative therapist, but integrates spirituality, mindfulness and neuro-linguistic principles… along with healthy doses of lightness and humor… to guide her clients through a process of healing and growth. Each of us has unique, complex stories which, at times, can create internal conflict and confusion, blocking us from moving forward. Trish will work with you to accept and integrate opposing parts of your experience and self so that you can move forward with increased self-awareness, self-appreciation and openness to experience. Trish specializes in working with individuals, couples and families through life transitions, including adolescence, marriage/cohabitation, becoming parents, career changes, grief and loss, relocation and retirement. She has a particular passion for helping teenagers navigate their journey to young adulthood, helping them to grow in their individuality, develop strong, independent thinking, and build authentic relationships. In addition, she has specialized training in suicide prevention/ intervention, pre-marital counseling, and working with personality disorders. 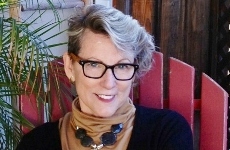 As a leadership coach, Trish brings personal experience as an entrepreneur and leader in both for-profit and non-profit businesses, and as a leadership consultant in her recent work at Intel Corp. She believes that leaders who care for people first and know how to “bring them along” with a dynamic vision understand the magic of getting the best results. Trish can work with you to assess your current leadership strengths, create goals for development, and build the skills you need to move from a good manager to an impassioned leader! Mr. Sanchez is a trained Marriage and Family Therapist with a background in Mesoamerican traditions. By engaging traditional approaches of psychotherapy and Indigenous concepts, he works with clients to identify their strengths as determined by the health of their social, cultural, family, spiritual and behavioral cycles. His approach offers traditional therapy with an understanding of Mesoamerican culture, supporting clients to implement practices for strengthening coping skills, relationship patterns, systems of support, concepts of self, and increasing awareness of their role in creating their healing process. As a trained bilingual Marriage and Family Therapist, Mr. Sanchez has a trajectory of working with communities facing adverse economic disparities. His work as a therapist is also informed by his early work as a community organizer for disenfranchised communities of youth throughout the Central Valley region of California. In his graduate internship Mr. Sanchez worked with children, couples and older adults. In his current work within Yolo County he serves youth in continuation schools, creating bridges with art and culture to complement their needs for healing and coping skills. Of Huasteco and Otomi decent, Mr. Sanchez grew up in a revitalization movement of Indigenous traditional practices. As a long-time member of the Danza Azteca community of Mexico and the Southwestern United States, he continues to play an important part of preserving the traditions of his family and community. 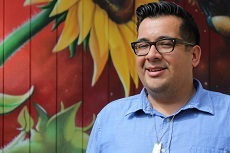 As a member of the Sol Collective Curanderismo Circle of Sacramento, he works toward increasing education on various traditional practices to cultivate healthy individuals and communities. Mr. Sanchez brings a synthesis of psychotherapy and Indigenous culture to work at Middle Way Health. He uses a treatment that is holistic in strategy, which recognizes the value in approaches like cognitive behavioral therapy, psycho-dynamic therapy, dancing, meditation, and creating healthier narratives. Within the vast body of Turtle Island, what is now known as the Americas, the concept of health by First Nations people is a holistic understanding of various elements in human life that create pathways for vitality. Mind, body and spiritual health are determined by an individual’s relationship to their ecosystem. What do your relationships look like in regard to your behavioral, social, cultural practice? What is being neglected, or in need of nourishment? Thousands of years ago, our tribal ancestors discovered that by bringing their spirit body into harmony, their mind and body would also come into balance and harmony. In this modern age, the concept that humans are a Mind/Body/Spirit complex is being explored both scientifically and spiritually. 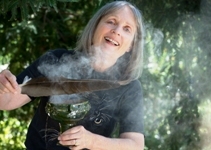 A Shamanic Practitioner is a person who can alter their consciousness and go into worlds of Non-Ordinary Reality to connect with the compassionate helping beings or spirits and bring information or healing back into this Ordinary Reality. You may visit AdventuresInShamanism.com for more information on each modality. An example of shamanic healing is illustrated in the 2009 documentary “The Horse Boy” where an American family travels to Mongolia to provide shamanic healing for their autistic son. Fortunately, we don’t have to travel halfway around the world to find people trained in these ancient techniques. Many people in the Americas and Europe are training to offer these ancient healing modalities in their own home towns. Dream Life Designing is the process of bringing your dreams – big or small – to life. It starts with a desire to creatively direct one or more aspects of your life and can become more a way of life with renewed perspective and budding empowerment. But just how does one go about creating a better life for themselves? It requires certain components such as SELF-AWARENESS, which leads to CLARITY of DESIRES, which evokes INSPIRATION and BLISS. You see, AWARENESS and ENERGY are your greatest tools. For when you are open, you can then direct your energy to a better place, a better experience right here and now! Dream Life Designing is a fun journey and can involve talking and brainstorming, reading and writing, drawing and painting, creating vision boards and collages, de-cluttering and organizing, re-decorating and re-inventing oneself, spiritual and physical cleansing, meditative exercises (like yoga, tai chi, walking, dances, etc), self-care and pampering, and just about anything that makes you feel good. Wondering if Dream Life Designing might be a good for you? Give me a call or drop me an email. You were born with dreams and desires for a reason; let’s see what we can accomplish together! Following an early career working in corporate business, Jill Kerrigan decided to pursue a different path in order to fulfill her dream of helping others. 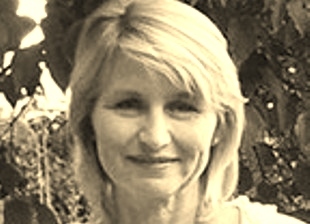 For over 15 years Jill has been providing therapeutic massage treatments to a long list of clients. 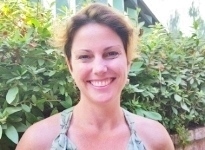 Jill is a licensed certified massage therapist, as well as certified aerobics instructor teaching at Rio Del Oro Racquet Club, leading classes in total body workout, yoga, pilates, senior fit, and water aerobics. Her overall philosophy is to diminish muscle tension and stress, while teaching practical, functional movements that help with everyday tasks. Jill has her MBA in Finance and Accounting with a BS in Mathematics. Massage is not just for relaxation and stress relief, it also helps to improve coordination, functionality and ease of movement in maintaining a healthy, active lifestyle. Massage strengthens the immune system, eases muscle tension and relieves bodily pain, thus increasing energy and physical well being. Personal Training is one-on-one guidance for overall fitness, flexibility and strength. Wellness Coaching provides a holistic, personal approach to one’s health and overall well being. Any one of these disciplines can deliver significant benefits, but in combination they empower the individual to traverse the full spectrum of physical health, thus enabling true healing and physical vitality. Jill actively listens to learn your physical concerns, understanding that a body in pain or discomfort is a body in need of attention, as further health issues are apt to occur. A body properly stretched, strengthened and massaged will experience overall physical and mental harmony. Greater body awareness leads to a more positive body image, as well as physiological well being. Robert Nakashima of Inner Circle Tai Chi began his study of martial arts 30 years ago, specializing in Tai Chi, Xingyi and Bagua. 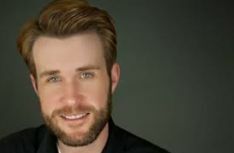 He teaches public and private classes in the Sacramento area and is a multiple gold medalist and Grand Champion in national and international competitions. He is the co-founder and Chief Instructor of WarrriorHeart, a non-profit organization dedicated to teaching Tai Chi, Qigong and Yoga to those with chronic illness. In addition, he holds a second degree black belt in Okinawan Uechi Ryu karate. Robert teaches QiGong classes through Middle Way Health Tuesdays from 11am-12pm. His classes are suitable for people with disabilities and those of all ages and experience levels. Please contact Middle Way Health for more details, or email Robert directly for one-on-one training at rshogo@gmail.com. De-Hypnotherapy is the process of getting you out of your trance and residing instead in the authenticity of your being. How can you tell if you’re in a “trance”? You are likely in a state of hypnosis -similar to watching TV or driving a car – if you feel stuck, feel like you can’t fully wake up, or are unable to move beyond something. Sue practices Intuitive Energy Medicine, which is following the energy field of that person, and utilizes essential oils and massage to help people heal. She also offers a co-dependency class and various workshops. 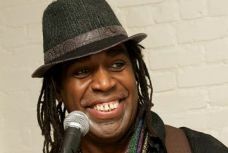 Clemon Charles grew up in Barbados singing in church groups and folk groups, eventually traveling around the Caribbean performing. It was his desire to branch out musically that brought him to the States. Since then he’s worked extensively with Bill Graham and Dr. Oz’s group Health Corps, also regularly doing shows around the Sacramento region. Clemon performs at Middle Way Health’s La Dolce Vita events and is also available for hire. 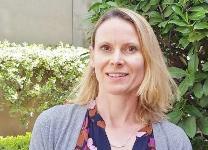 Erika provides administrative support to the Middle Way Health team, working alongside Stephen Walker to coordinate strategy development and implementation. She has a background in accounting and office management. She is certified in QuickBooks and loves crunching numbers and making sure everything adds up. Many times, along with Judy, she is the voice you hear on the phone, and the person who greets you when you arrive. 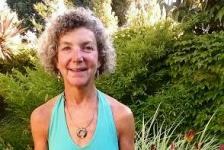 Sandi is a certified Ananda Yoga Instructor. 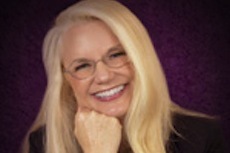 She has been practicing yoga and meditation for over 20 years and has been teaching since 2000. Focused on bringing the essence of yoga to her students, Sandi teaches traditional hatha yoga classes designed to strengthen and stretch the body, release stress, calm the mind and enhance self-awareness. You’ll leave her class feeling nurtured, uplifted, re-energized and more deeply aware of your own inner peace. 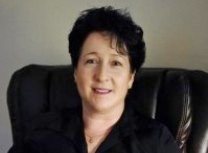 Ms. Kilian has over 25 years experience in the addiction field. She is a Licensed Professional Counselor (LPC) in Colorado and is in the process of completing a certification in California in addictions. Having recently moved to Sacramento from Denver, she currently travels back to Colorado every other month where she continues her work as a court-appointed Parental Responsibilities Evaluator, making recommendations for parenting time and decision-making in high conflict divorces, in cases specifically related to alcohol and substance abuse. Attorneys ask the court to appoint her to conduct substance abuse evaluations for their clients. Early in her career, she worked in an outpatient setting treating alcoholism, eating disorders, and co-dependency. She developed an experiential weekend retreat for adults who were raised in families with addictions. She has trained professionals and lawyers in addressing their clients’ issues with substance abuse in conjunction with ensuring the safety of their children during parenting time. 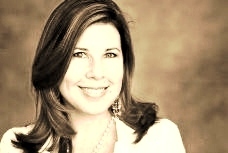 Ms. Kilian utilizes a didactic approach with treating clients. She believes that treating the whole person who has addictions with a firm yet nonjudgmental approach. Each individual comes with his/her own stories of emotional and psychological pain and trauma. Ms. Kilian integrates mindfulness recovery into the treatment modality. Raised in the Midwest, Ms. Kilian grew up the oldest of four in an alcoholic family. She began a journey of recovery for that and her own alcoholism in 1979. Choosing a life of sobriety was life altering in a profound way. When Ms. Kilian began practicing mindfulness and meditation, it enabled her to be present to life’s challenges. After living in Denver, Colorado for 28 years, she moved to Sacramento in 2016 to be near family, especially her two grandchildren. For 40 years I have helped people improve their breathing and develop breath practices which are just right for each individual. Besides bringing vitality, joy and peace of mind these yoga, acupressure and Reichian based practices can activate your own inner healing resources to better cope with anxiety, depression, pain, and addictions. Ph.D. Psychology, International College (Wilhelm Reich and Reichian Therapy) 1981. 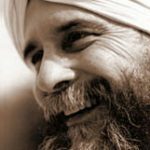 Studied Kundalini Yoga under Yogi Bhajan. In this day of aging baby boomers, gym memberships, running and biking clubs and extreme sports, I don’t need to dwell on the importance of exercising the body to keep it supple, strong and to prevent injuries. But have you considered the equally important outcomes of training the mind to also keep it pliable, able to maintain focus, to develop patience, gratitude, acceptance and a sense of friendliness towards ourselves and the world we live in? I have been practicing mindfulness and meditation since 1997. I had been searching for some sort of a “tool kit” which might help me more gracefully navigate life transitions and occasional bouts of depression. I was hoping to find a way to uncover more meaning in my daily life and routines. I became curious about meditation when my sister Julie recommended a book written by the Dalai Lama. Even the title spoke to me: “The Art of Happiness”, which described the benefits of mindfulness and of mind-training. The book explained that the anecdotes or remedies to suffering are found in the practices of developing compassion towards oneself and others, practicing equanimity and taking a non-judgmental outlook; Agreeably, all easier said than done, but the Dalai Lama ensures that with practice, we can accomplish much. Having a meditation practice has opened up an unfolding world of possibilities: Allowing devoted time to just slowing down, placing my awareness and attention on one thing at a time, has exposed a timeless clarity that exists between and within each breath. Mindfulness and meditation practices can soften our hearts and allow us to experience the connection we have with each other and our universe.